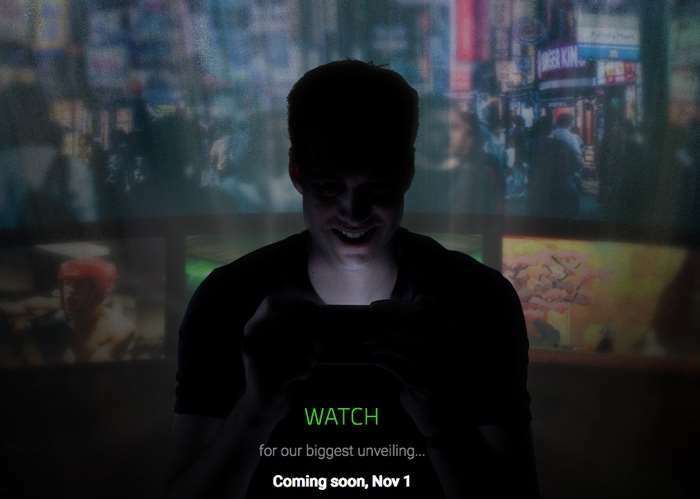 Razer is getting ready to launch their first smartphone, the company recently teased the handset and it will be made official at their press event tomorrow, the 1st of November. 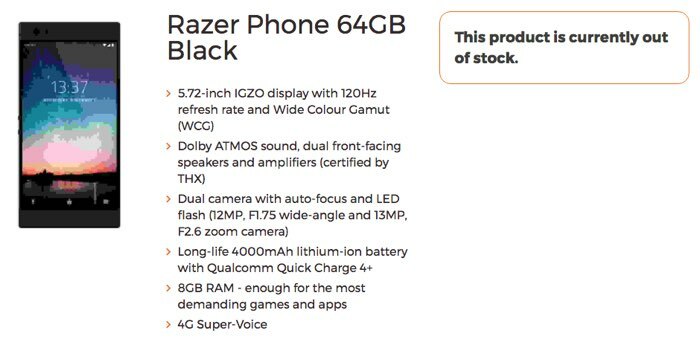 We previously heard some specifications on the new Razer Phone and now more details have been leaked. Razer previously purchased smartphone maker Nextbit, this new handset is the first device that will be released since the take over. Gaming is said to be the main focus of the Razer Smartphone and it looks like the handset will have some impressive specifications which should ensure it is good for gaming. The new Razer handset will come with a 5.72 inch IGZO display that will have a 120GHz refresh rate, the display is expected to have a QHD resolution of 2560 x 1440 pixels. The handset will be powered by a Qualcomm Snapdragon 835 processor and it will also comes with 8GB of RAM. Other specifications on the new Razer Phone will include a large 4000 mAh battery and the handset will come with Qualcomm’s Quick Charge 4+.The device will also come with high end cameras, this includes dual rear cameras. One of the rear cameras will come with a 12 megapixel sensor, the other will come with a f1.75 wide angle lens an a 13 megapixel camera. The front facing camera on the handset is said to feature 8 megapixels. The handset will also come with front facing speakers and Dolby Atmos. We will have more details about the handset when it is made official tomorrow.